I have to admit I have never heard of St Jude until I came to Mexico, where suddenly I saw his icon everywhere. In fact, when I first heard his name (San Judas, in Mexico), I wondered if he were the Judas who had betrayed Jesus. It soon became clear, however, that they were definitely not the same guy. 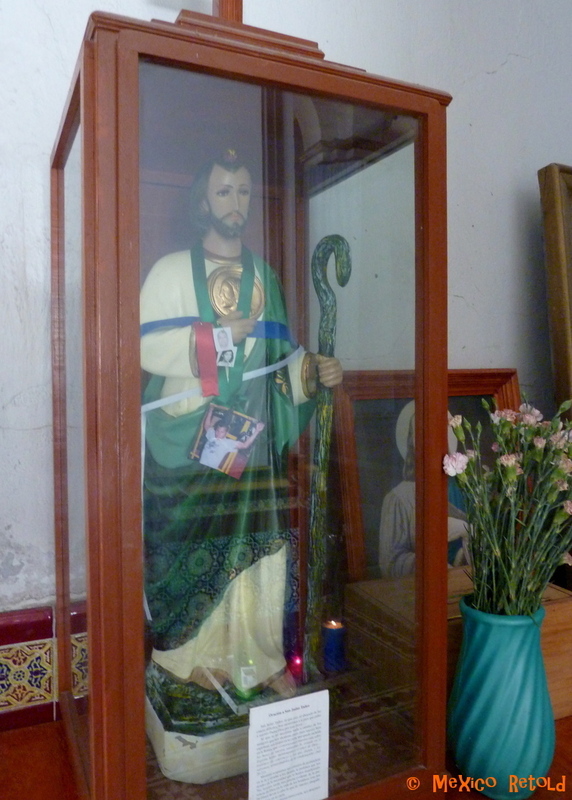 St Jude Thaddeus (San Judas Tadeo, in Spanish) is usually portrayed with the crown or flame of the Pentecost (from receiving the Holy Spirit) above his head, wearing a green robe and carrying a gold medal depicting Jesus’ face. St Jude is regarded as the Saint of Lost Causes, the saint you call upon when all else fails. Saint Jude is seen to be particularly helpful in issues of health, money and relationships and is revered by people who feel that all other hope is lost. 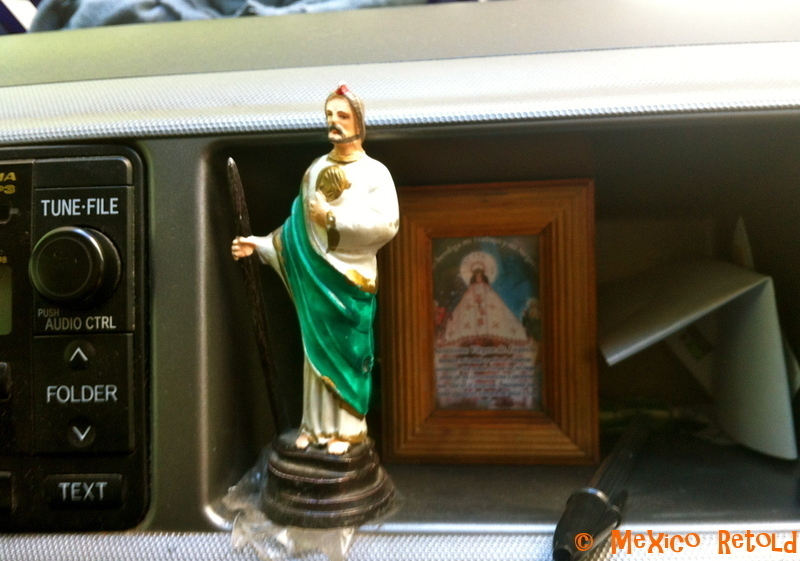 Living in Mexico, I have heard so many stories of miracles received from Saint Jude. One lady I spoke to explained that she prayed to Saint Jude that she would return to live in the USA with her children, when it seemed impossible that this could occur. She asked to be able to live once again in the US even if it was far away from California where her children were. Later that very evening she returned home to news that her husband had been offered work in Miami and they were moving back. In hindsight she wished she hadn’t mentioned the bit about going anywhere in the US! Upon arrival in the States she discovered that her house was right next to the Church of Saint Jude. If she needed any more proof that Saint Jude had granted her wish, she said, there it was! 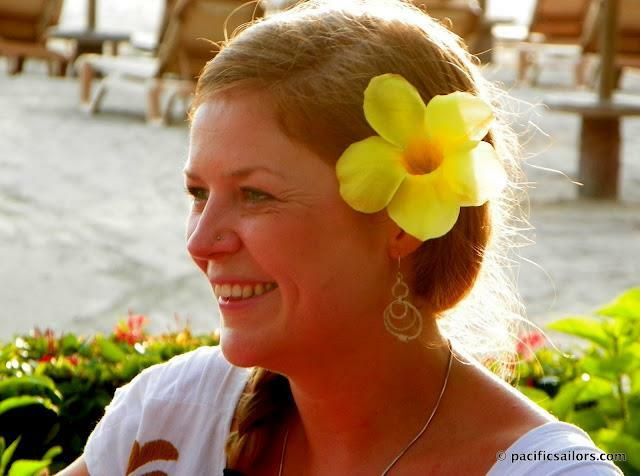 I have also heard stories of pregnancies when all hope was lost, miraculous returns to health after terminal diagnoses’, and money arriving just in time to save someone from serious problems. In addition, people have told me that just having a picture of Saint Jude with them gives them hope in difficult times and helps them to feel that they are not alone. 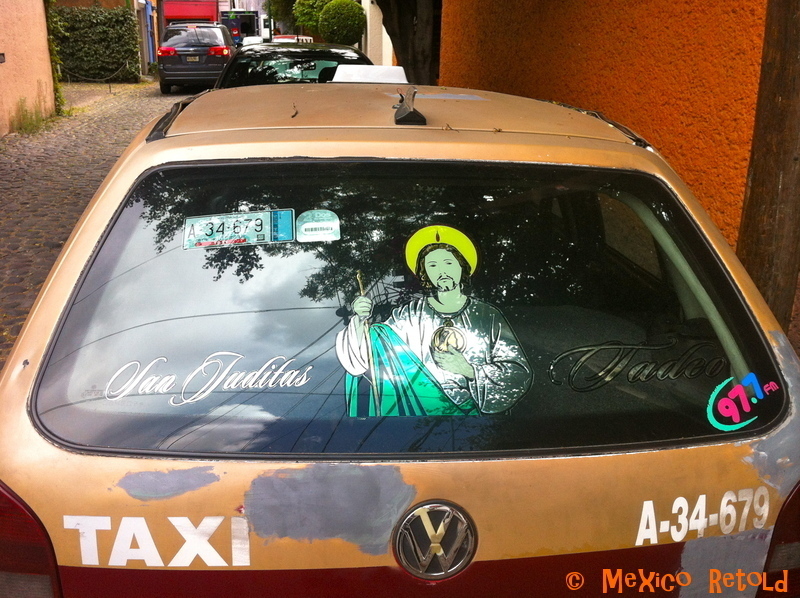 Nearly every taxi I ride in has a Saint Jude icon perching on the dashboard or a Saint Jude card attached to the sun visor. Since Jude is the saint of lost causes he has become associated with the poorest of Mexico as well as the addicts and criminals. Every 28th of the month in Mexico City’s San Hipólito Church people gather with their icons of St Jude, to be blessed and to ask for miracles. Many people carry life-size icons and others come dressed as the saint. On his saint’s day, October 28th, the church bursts with devotees. But unlike Santa Muerte (the Saint of Death, who is often associated with Mexico’s underworld), Saint Jude’s appeal goes across the board, because most people can think of a time when they have felt like hope is lost and that is when Saint Jude is called upon. Therefore, among the Catholics of Mexico, Jude is a very important saint, closely following the Virgin of Guadalupe. Some great photos of St Jude’s feast day in Mexico City can be found here, definitely worth a look! Enjoyed your work on St. Jude–there are some famous and important children’s hospitals in the USA named St. Jude. Thanks Bill. Yes, I noticed that when I was researching the piece. Interesting! Santa Muerte isn’t actually a Saint of course, and it really has nothing to do with Christianity as it is an occult practice. If you are really interested in researching a connection between a Saint and Mexico you should learn more about Our Lady of Guadalupe whose apparition really made Mexico as a culture born from the marriage between Indian and Spanish identities possible. You are welcome. I am glad you enjoyed it!